· ion color brilliance "titanium"
· elf waterproof eyeliner pen in "coffee"
· forever21 eyebrow kit in "light 900"
· forever21 gel liner in "brown"
· ion color brilliance "platinum"
· adore hair dye in "platinum 150"
· la riche directions hair dye "silver"
ally ann beeha camryn char∋na eun lala rahim lt mai michelle michy sher rhie teh tqa london you here? » review: wella 050 cooling violet. » review: ion color brilliance "PLATINUM." » 【sponsored】 bornprettystore review #01. » 〖esty shop〗 featuring: thecuriousneedle. » review: miffy instax writing pens. 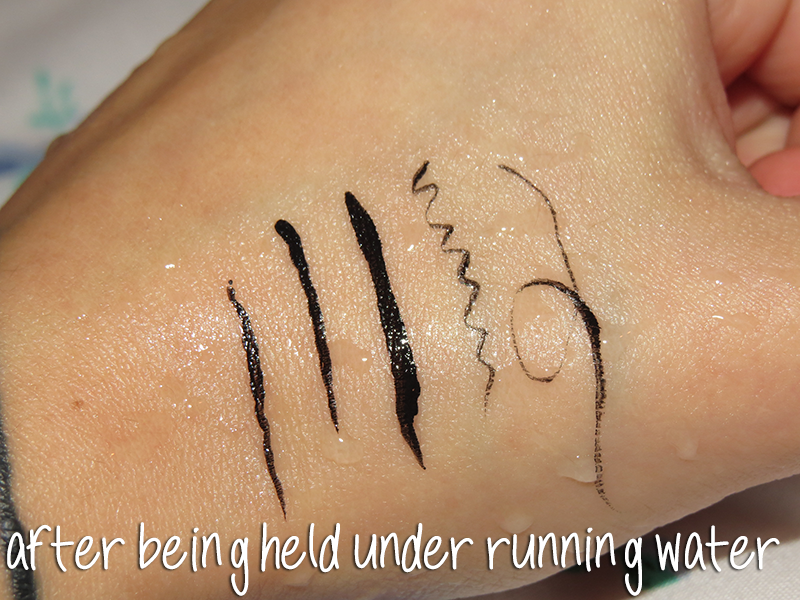 » tips: taking care of (new) tattoos. for serious inquires, feel free to contact me using this form. commentary or anything else, please leave it in the tagbaord located on the sidebar. i created my first blogger account at around 2007, but i did not officially start blogging until september 2008. that was when i started my first art blog called colordripped. unfortunately, that blog no longer exists, though i still do art. on colordripped, i mostly posted art related things with the occasional personal post. after about about a year or so, i decided to start a personal blog after being inspired by the contributors of blogskins.com. i first had the name frozenbullets. i'm not quite certain where i came up with the name, haha. but that blog basically contained everything that wasn’t art and didn’t go on my art blog. and i even started to do review and tutorials. i was contemplating for a while on whether or not i should change my site name or not. but once i decided on yes, i wanted a change, and i went for the name fauxteeth. i had an original character that i drew up one day and i named "teeth faux", and originally, i only wanted to use the word "faux" for my blog. sadly, that url was taken, so i ended up just switching the words around. and so, the change happened during the fall/winter (november-feburary) 2013.
all items reviewed and/or are purchased by me unless otherwise stated in the title of the post, in the post itself, or in the labels. all opinions and comments are 100% my own and do not reflect the company of the products posted. all images and photos are taken by me, unless otherwise stated in the post. credit will be directed to the website if a stock photo is used. images of products are unedited unless otherwise stated in the post. i do not i wish to enhance colors or lessen faults and such of products to lie to my readers. non-sponsered review. all images are unedited. there is absolutely no smell. as for the color, it's super opaque with just one stroke!! i am very impressed, but there's not much else to say?? haha. the container design, however, is nice, in my opinion. it's not eye \-catching, but there's this subtle loveliness. the small bottle can fit anywhere in your makeup bag. the legnth of the cap is a screw-on (??) 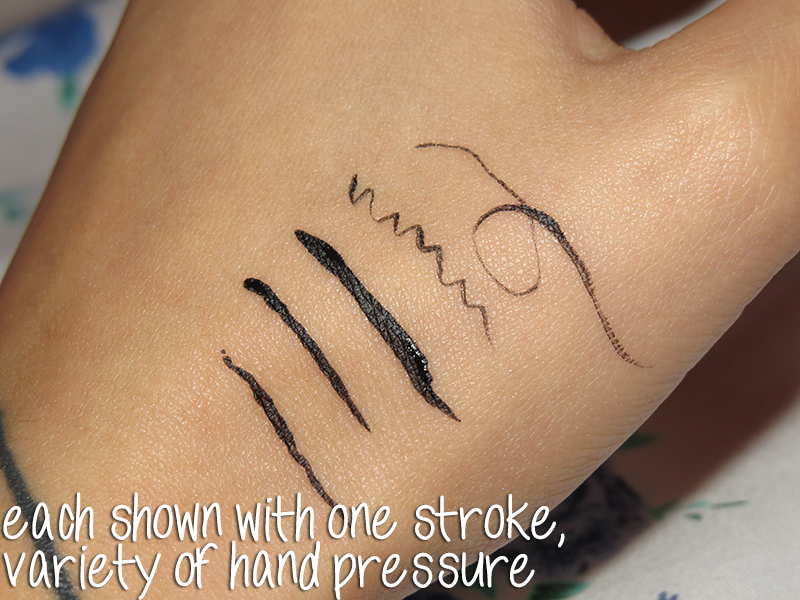 and it's excellent for you to hold and make precise strokes. the one thing i don't like is that you can't see the amount of produce left in the bottle, especially since it is so small so it'll be used up a lot quicker. but whatever. application is smooth, and as i mentioned, the color is extremely opaque in just a single stroke. it also dries really fast and matte--which is my favorite type of finish. you can get a variety of widths too. also, it's durable. like, this stuff won't budge. rubbed at it after is was dry, it was still there. ran it under water and then tried to smudge it, and nope--it stayed. i even went at it with my nail, but this eyeliner swatch just made it's home on my hand. though, the thinner lines will come off more easily. 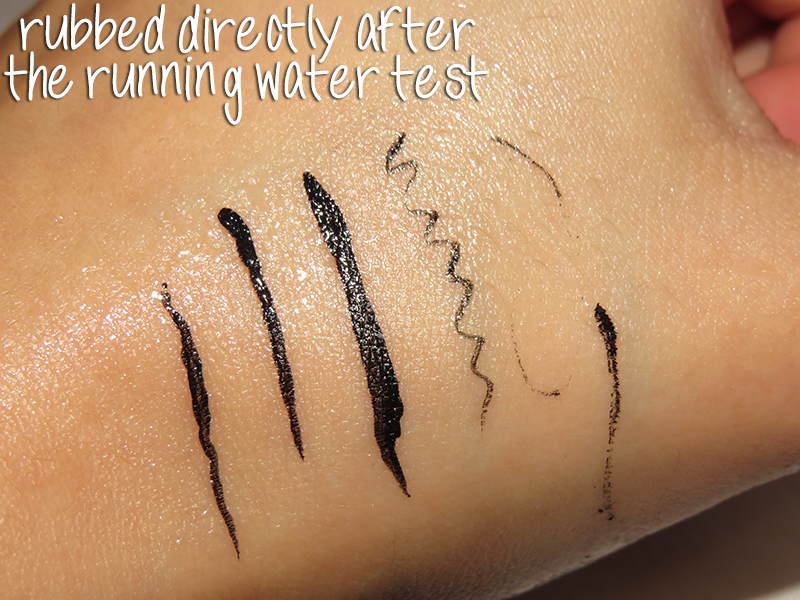 though because it dries mega-fast and it's like tough to remove, you kind of have to get your eyeliner right on the first go. this little bottle really does back a punch!! 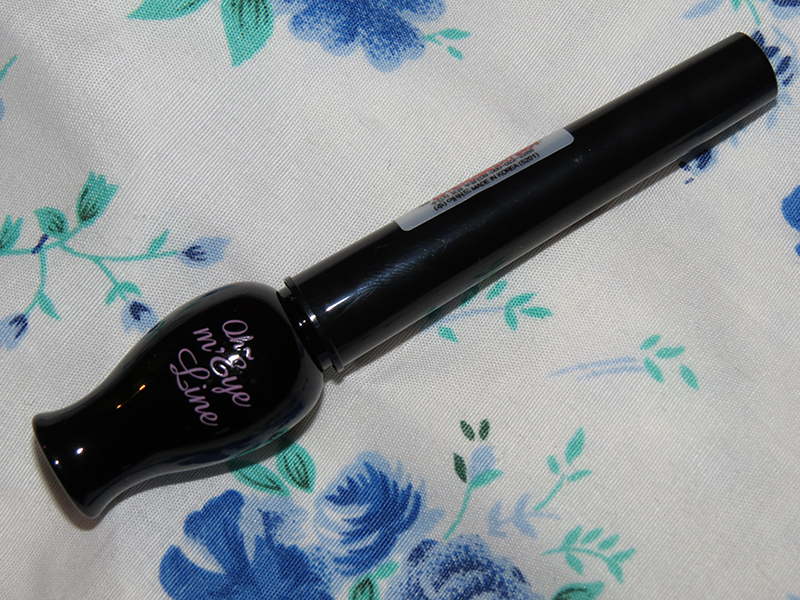 now, i just have to work on perfecting my eyeliner skills so i won't put this bad boy in shame, haha. no, but seriously. 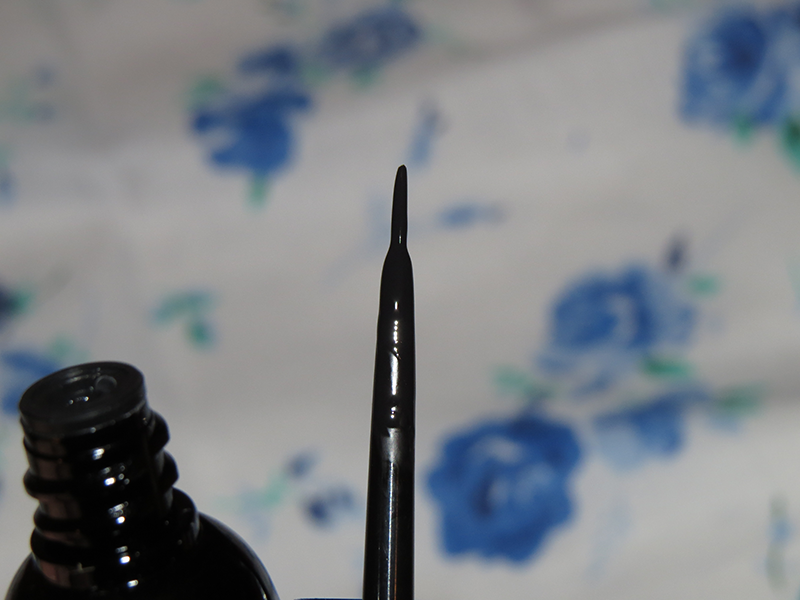 if you're looking for a "golden grail" eyeliner, then look no further because this is it. i hope you enjoyed the review! ig · bs · tb · tw · +fw ♔ xochitl. / XX00. / ask me. / +follow. © 2016 - layout coded by yours truly. inspiration taken from mango blog shop. the fonts are from google.